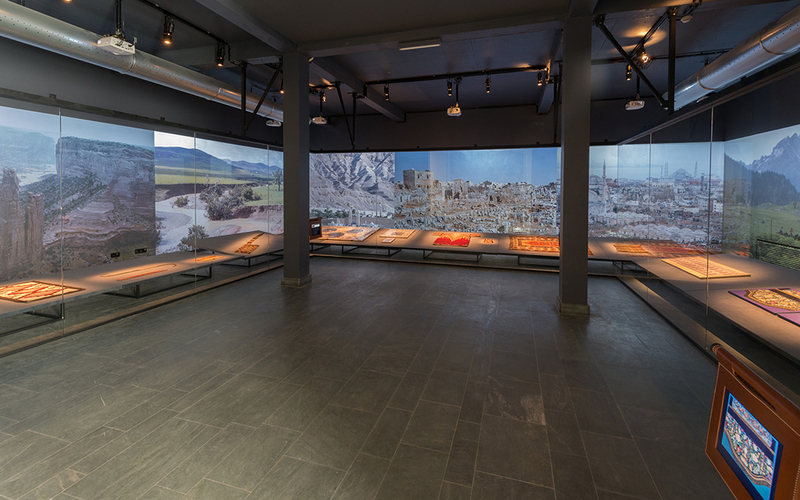 The new exhibition of the Cité internationale de la tapisserie occupies 1200 m2. The scenography by Frédérique Paoletti et Catherine Rouland is completed by a platform for contemporary creation. The scenography of the permanent exhibition consists of three areas : discovery, initiation, representation, three steps on the visitor's path. The decision to vary the scenography from one room to the other answers a will fainly visible : to create an atmosphere all at once free and intimate, punctuated by unexpected elements, immersing the spectator in the world of Aubusson weaving. This first area is devoted to textile expressions from different parts of the world, highlighting the universality of the technique. The artworks presented come from the collection of prestigious institutions in France. The pieces are distributed into five geographic areas : South America, North America, Maghreb, Nile Delta, Middle East and Asia in the broadest sense (Central Asia, India, China, Indonesia, Japan). This section comes as a counterpoint of the UNESCO Intangible Cultural Heritage of Humanity label : Aubusson tapestry partakes of a universal textile technique, which almost all the people of the Earth have been using at some point in their history. Understand the craftsmanship, from meadows to galleries! This area is devoted to the crafstmanship of Aubusson evidences the intent of UNESCO Intangible Cultural Heritage of Humanity label, recognizing the "four-handed work" : the dialog between the artist’s vision and the weavers's technique during the adaptation process is central to the project. The complete range of this technical know-how is presented through objects and on tablets, with iconographic documents and audio-visual materials. The visitor can make his own tapestry on a tablet with a serious game of weaving. Objects and audio-visual documents tell the six centuries old story of the local professional community (from the spinners to restorers) and its daily life. All and every production is represented : wall tapestries, Aubusson rugs (made on a low-warp loom), knotted pile carpets (made on a high-warp loom), "Saracen" embroidery, needlepoint tapestry, high-quality carpet (mechanical weaving), etc. The Bettencourt Schueller Foundation supported this section of the exhibition. Discover tapestry on the stage ! Conceived as a real show, this exhibition area is the flagship space of the exhibition. The Nave of tapestries Nave is an invitation to travel over five centuries and a half of Aubusson productions. No more tapestries diplayed like paintings : the scenography evokes the original interior décor where the tapestries could be found, thanks to a "trompe l’œil" inspired from theatre techniques, for a genuine immersion in the woven world of Aubusson. Taking the visitor to a chronological tour in a fully modular envirenment is a clever way to emphasize the monumental nature of tapestries and their close link to architecture. An abundance of information is provided about the way the tapestries were made, echoing the previous section dedicated to the crafts. All along the Nave, tablets are available to zoom in on characteristic areas of some tapestries. This technical aspect is both thorough and pedagogical, in accordance with the inscription on the UNESCO Intangible Cultural Heritage of Humanity Representative List. 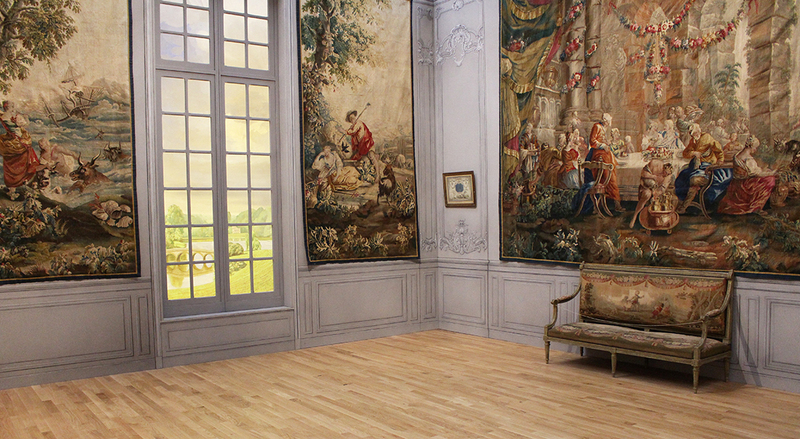 In addition to the itinerary across the museum, this 21st century space is meant to present tapestry models by artists or contemporary pieces just "fallen from the loom", the latest projects woven to join the Cité de la tapisserie’s collection. 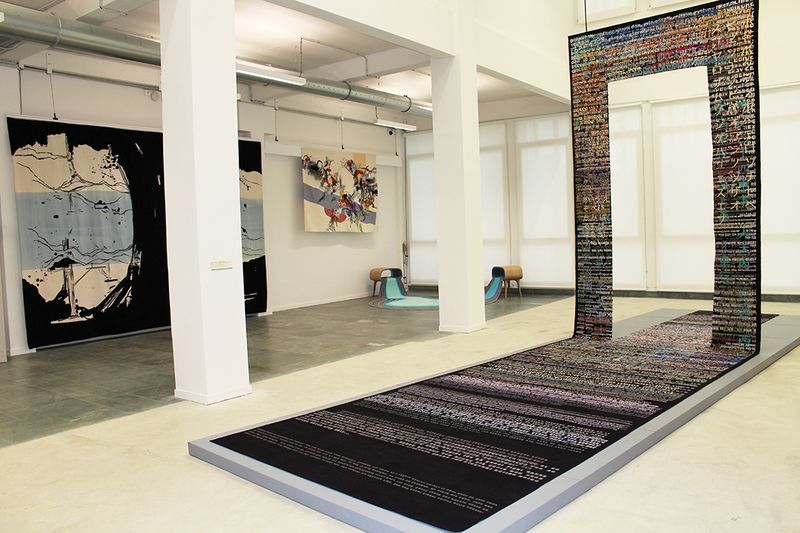 These artworks mostly come from the annual calls for artistic projects launched every year since 2010, within the frame of the Regional Fund for the creation of contemporary tapestry. The display will be periodically renewed, some works being on loan to other museums and new award-winning projects entering the collection. In this area will also be displayed other weavings produced by the Cité, such as the Franco-German tapestry Pieta for World War I, by Thomas Bayrle, currently realised within the frame of the commemoration of the centenary of the First World War. The platform will also host artists in residence and students during workshops. Their works will be on display for a few days. 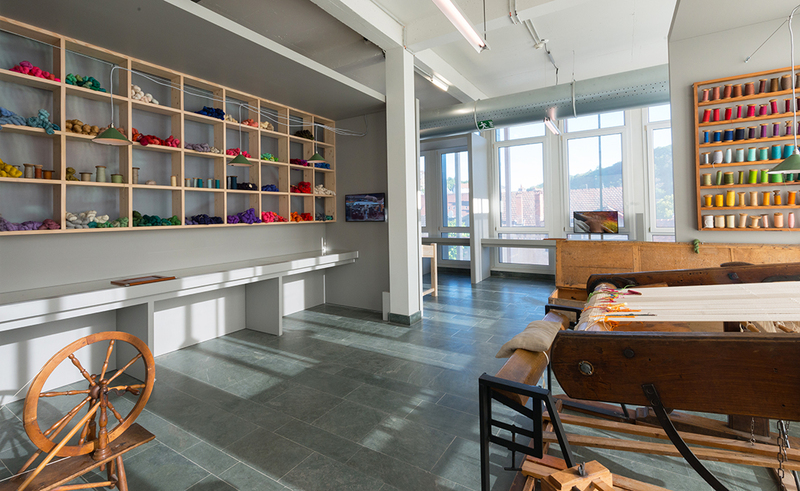 The museum proposes weaving and restoration demonstrations in the professional spaces. In a workshop hosting a 8 meters long loom, visitors can see ongoing weavings when such a big loom is needed for a project, and the public can discover the restoration workshop every thursdays between 2 pm and 4 pm (information at the front desk).